The Seven Salems of the Eclipse – Coincidence? 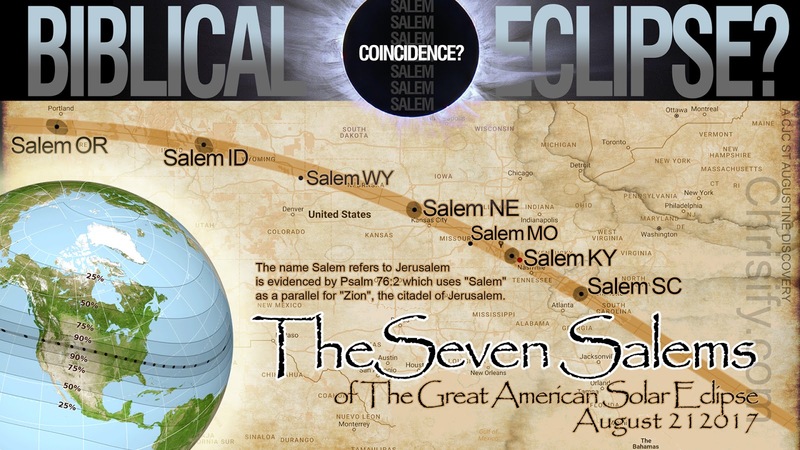 | "Global Possibilities"
Home » News » The Seven Salems of the Eclipse – Coincidence? The Seven Salems of the Eclipse – Coincidence? There has been a lot of talk about the Great American Solar Eclipse lately. I would like to share with you a recent discovery stumbled upon while my wife and I drift off comfortably listening to our nightly lullaby of radio talk shows. Here is what shook out. Ground Zero’s topic partly for the night was the eclipse. The complete episode is here. 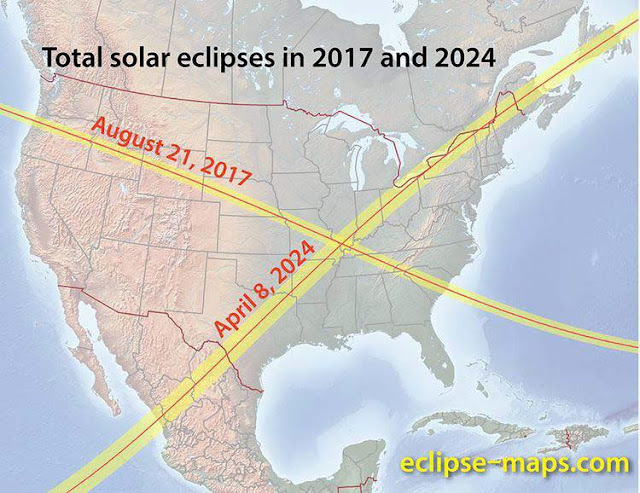 It was mentioned on the show that the eclipse starts in Oregon and ends in South Carolina. During the discussions between Clyde and his callers it was stated there was a connection between Salem Oregon and Jerusalem and that it was very strange for Totality of the Eclipse to be starting at that location where there will be events with massive gatherings, partying and camping. Salem Oregon was brought up several times which left me thinking, I swear, I saw a Salem either in NC or SC while driving Interstate 95 over the years. Maybe it was Winston-Salem or Salem VA. Here we go, out comes the 11pm in bed Google Maps, wife already sleeping to the soothing radio chatter. I zoomed in on the totality line checking out the little micro towns in South Carolina and started panning west while closing in. Salem South Carolina was there, and even more strange was it was the SAME EXACT distance away from dead center totality line as Salem in Oregon!!! Immediately I wanted to notify Clyde via Twitter and not being an avid user I eventually figured it out. @ClydeLewis FYI… The Eclipse path goes directly over Salem SC as well!!!!! You can see how both Salems are the same distance from the center totality line! See an interactive Eclipse map that defaults to Salem South Carolina here. See an interactive Eclipse map that defaults to Salem Oregon here. The tweet went out and as the night progressed, Clyde said that he just received a tweet from Chris C that their is another Salem in SC! This was exciting as I have never interacted with a radio show before and immediately wanted to get involved in the conversations more. 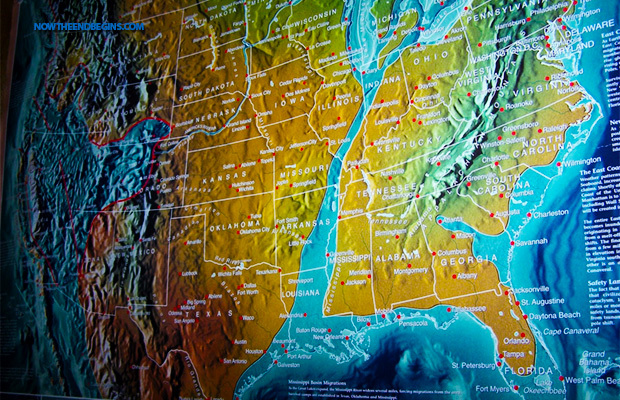 One of Clyde’s callers at that time dismissed the claim that there was not a Salem in SC and that it was in Virginia. I felt the need to send another tweet to state some facts but then decided on something else. Take a another look. WHAT IF THERE ARE MORE SALEMS! I continued to pan the Google map west along the path of totality. It is when I ran into Salem Kentucky right in the path is when I lost my breath. I kept moving west on to Missouri. Sure enough SALEM! Not as dead on and the same distance as the others but IN THE TOTALITY LINE. Moving west Salem, once again DEAD CENTER in the totality line. Could not find Salem initially. Seems like it is not on google maps so a simple google search will reveal that town. What are the chances Salem Idaho is dead center in the path and right next to the popular Oregon events. Of course Salem Oregon. The location where this all started and is the most popular. The next eclipse after August 21st will be April 8th 2024. Guess which town is where the two cross, you guessed it. Salem Kentucky. This is also the location of the most middle America earthquakes recently. 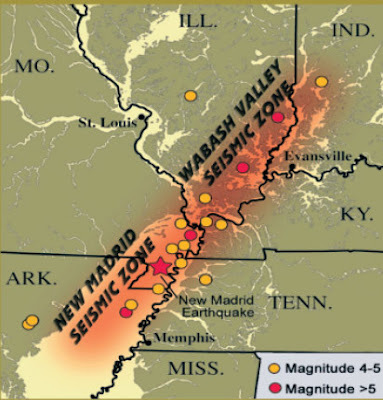 X marks the spot of the New Madrid Seismic Zone. 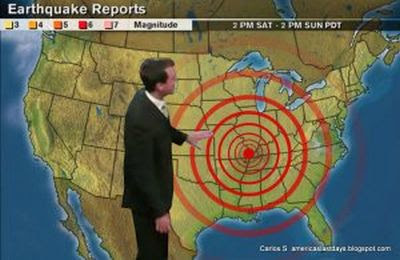 Not saying anything will happen while I am just stating the facts, but what about this doomsday scenario. THIS IS JUST NUTS FOLKS. There are so many references to these signs in stars and sky biblical events. It could just be the strangest coincidence ever or one more step to the apocalypse. Again, while I’m showing the facts, I need you all tell me what you think this could mean. Let’s hope it is PEACE.